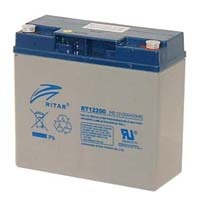 Replacement rechargeable 20Ah battery for the Vagabond II Portable Power System as sold for use with White Lightning and AlienBees flash units. Note that this battery is NOT suitable for the earlier Vagabond I system or the later Vagabond Mini. Note: The Paul C. Buff items supplied by KHB Photografix are primarily for the convenience of Canadian and international customers. We recommend that U.S. customers requiring parts or service contact Paul C. Buff, Inc. directly at 1-800-443-5542, or through their website, paulcbuff.com.